When I first met George I told him that if he ever got my daughter on a motorcycle, I would go up to Cornell and rip his arms out of their sockets. He responded, “Yes Ma’am”. Now he is driving my grandsons around on a motorcycle and still has both arms. I love that man. 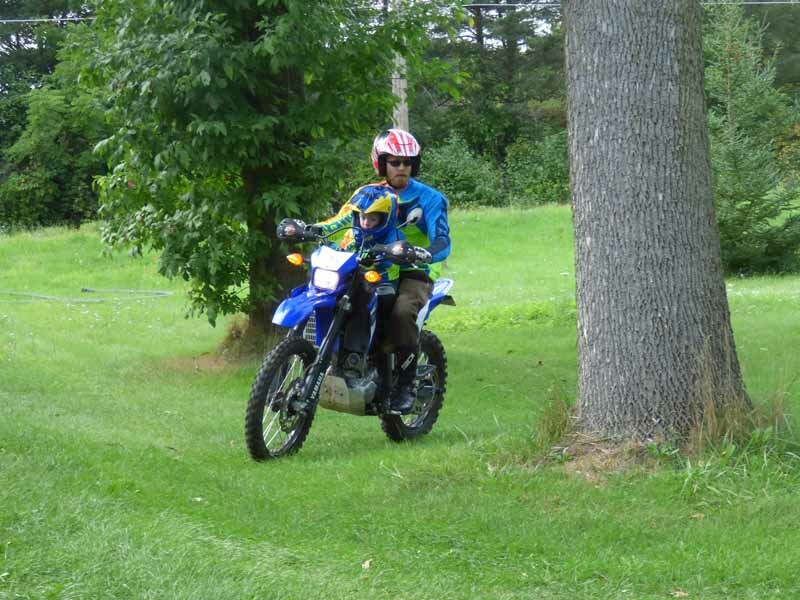 I watched as the boys took turns riding with George on a course around the front and back yard. It was hard to tell them apart in their matching motorcycle garb except that Owen is a bit taller in the saddle. Owen was very serious about riding. When it was not his turn, Cam would stand perfectly still waiting patiently. That is the only time I have seen him displaying patience. George is most safety conscious and the boys all have full gear, including safety pads under the shirts. haha. I hadn’t thought of that! This post perfectly describes what motorcycles mean to some people! Especially me! I worry that they will get hurt. Son-in-Love George has been passionate about motorcycles since he was a toddler riding with his father. He worked for Harley-Davidson since before college graduation until just a few months ago (mechanical engineer). The little boys will do anything to get a motorcycle ride. 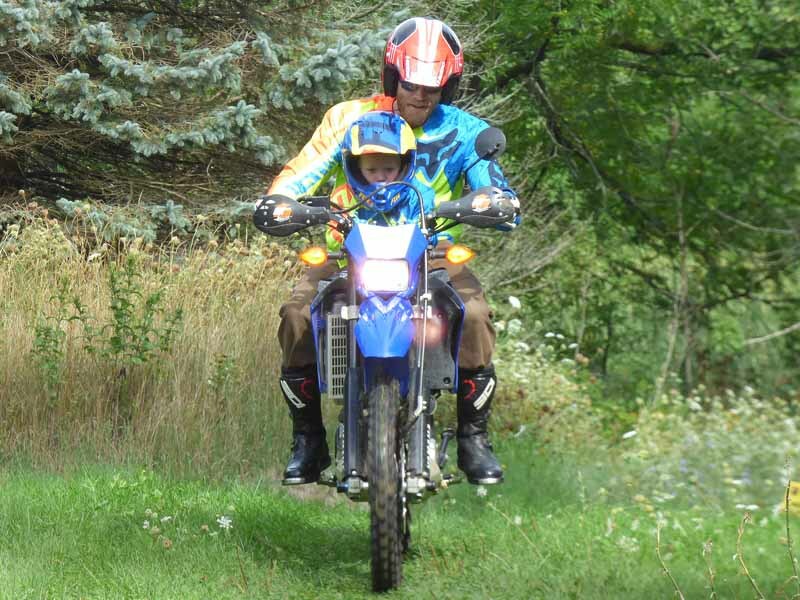 Four-year-old Owen even gets a motorcycle ride to nursery school occasionally. I grit my teeth and hold my tongue. 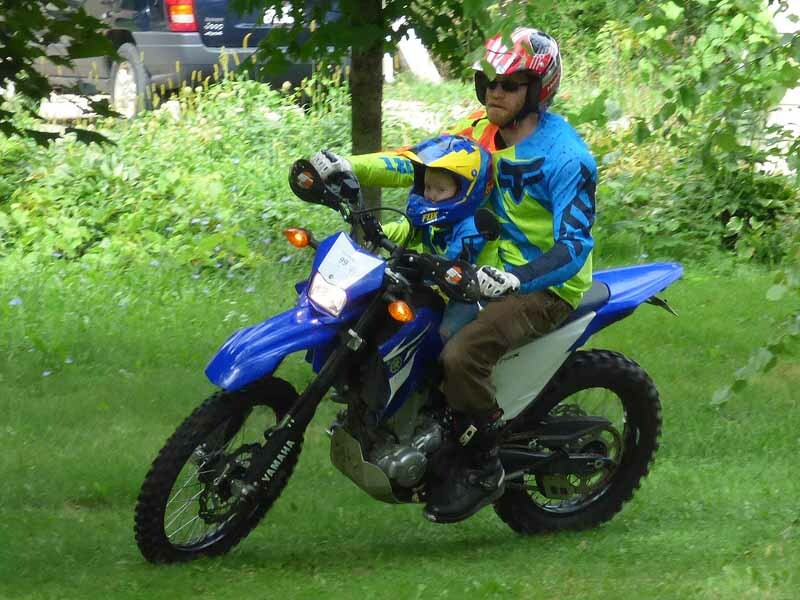 I trust my son-in-love Geroge to be very careful with his sons on the bike. George and Jennifer are both mechanical engineers. They met in engineering class in college. Oh, I say the motorhome = freedom. That is why I sub-titled my blog “Has Senior Adventures”.